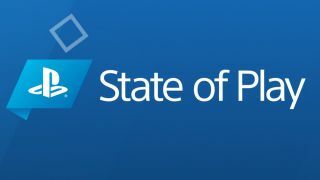 State of Play will share news on PlayStation games and products directly from Sony on Monday, and you can catch the first episode right here. Sony announced the first episode of its new online broadcast program on the PlayStation Blog, teasing announcements, trailers, and gameplay footage for upcoming PS4 and PS VR games. State of Play will begin on March 25 at 2 pm PDT / 5 pm EDT / 9 pm GMT. Sony plans to broadcast it on pretty much everything, and you can catch it as soon as it begins with the Twitch embed below. Don't fret if you can't make the broadcast time as Sony will upload a video-on-demand version shortly after State of Play concludes. What games should you expect to see on the first episode of State of Play? Let's run through a few likely candidates from the list of upcoming PS4 games. Dreams Creator Early Access was announced back in February with a release window of "spring". Spring has metaphorically sprung so it's about time we learned more. Blood & Truth (a followup to The London Heist from PlayStation VR Worlds) has had some leaks recently and I wouldn't be surprised if it gets a formal release date. Sony said there will be "new game announcements" in State of Play too, so you can look forward to some surprises as well. It also said the program will return "throughout the year with more updates and announcements", though it didn't say when. I get the impression that it'll be akin to Nintendo Direct, with the broadcast schedule largely based on when the company has enough cool new stuff to share. In any case, we'll keep you up to date on all of the biggest announcements from this and all future episodes of State of Play as they arrive. While you're waiting, make sure you aren't missing anything from our list of the best PS4 games. Or see the best of what you can only play on PS4 in our video below.